New Group Supports First-Generation, Low-Income Students The FLIP program at W&L was proposed by students who saw a need for more resources on campus. 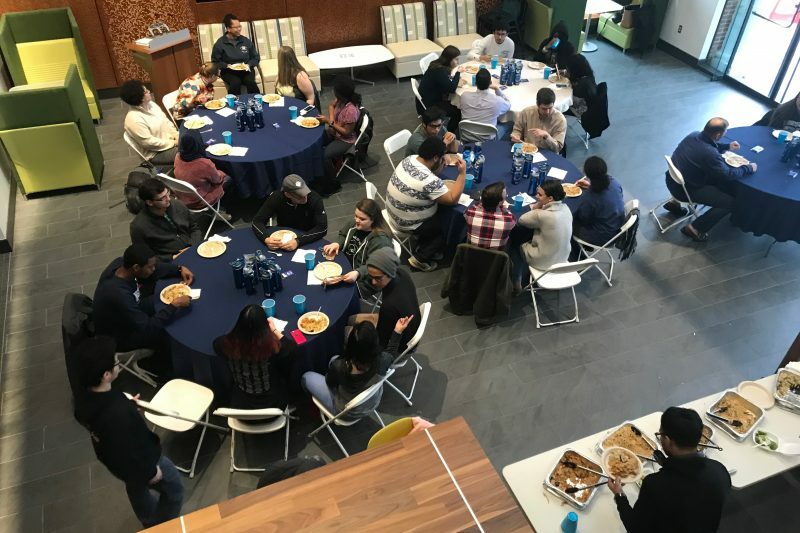 Student and faculty participants in FLIP (first-generation, low-income partnership) enjoy an end-of-semester meal. Photo by Taylor Reese ’19. An organization on campus is striving to create a more supportive community for first-generation, low-income students. Kiki Spiezio ’17 brought the First-Generation Low-Income Partnership, or FLIP, to Washington and Lee’s campus. Her vision for more community advocates for these students went public a year ago with her article “5 Ways Washington and Lee Could Better Support Low-Income Students,” published in the Odyssey Online. It received 1,800 page views in one week, and Spiezio heard from parents, students, faculty and alumni alike about her suggestions. “That was the first time I really thought about some of the issues that I and others face,” she said. In the spring of 2017, Spiezio wrote her poverty and human capability studies capstone on how selective colleges can better support low-income students, using W&L as a model. During her research, she came across the national FLIP movement, spearheaded by the Clinton Global Initiative and operating independently on college campuses. Spiezio drew inspiration from similar programs at Emory University, Stanford University, Smith College, Brown University and Columbia University. While Washington and Lee’s Angel Fund exists to provide students with temporary financial assistance in times of family emergency, Spiezio said FLIP is here to fill in the ongoing gaps and less immediate needs not covered by this program. For instance, Spiezio said, one goal is to establish scholarships for “essential parts of W&L life,” such as Greek life, Fancy Dress, travel, interviews and conferences. Edwin Castellanos ’20 got involved with FLIP after initiating a lending library for students to avoid the expensive costs of textbooks. 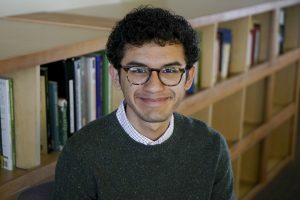 “FLIP wants to create a space and open up resources for first-generation, low-income students here on campus,” Castellanos said. Taylor Reese ’19 joined after engaging in conversations with Spiezio during the summer. Reese oversees a mentorship program between professors and students, which she said has so far benefited from a roughly 1:1 ratio. Professors, many of whom have partnered with the QuestBridge program, a national scholarship program for high-achieving students from low-income backgrounds, are also supporting FLIP by donating textbooks and supplies. In October 2017, FLIP held a week-long event called Money Matters. It involved discussions led by professors and Career Services on resumes and negotiating salaries. FLIP members reach out to their peers via class deans, Campus Notices and by word-of-mouth. Spiezio said the feedback on the organization’s goals has generally been supportive. “The debate mostly centers around how to best implement those ideas,” she said. This article originally ran in the W&L student newspaper, the Ring-tum Phi.